3D printing is versatile in itself but materials can be printed in different ways that result in diverse finishes that aren’t dependent on post-processing techniques. 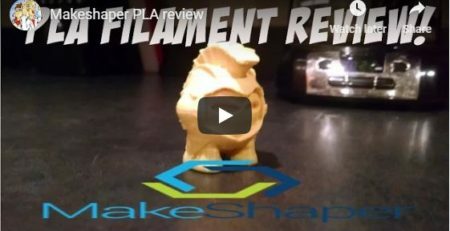 Polylactic acid (PLA) is without a doubt the most popular 3D printing filament, but it also receptive to different surface finishes produced by varying extruder temperatures. 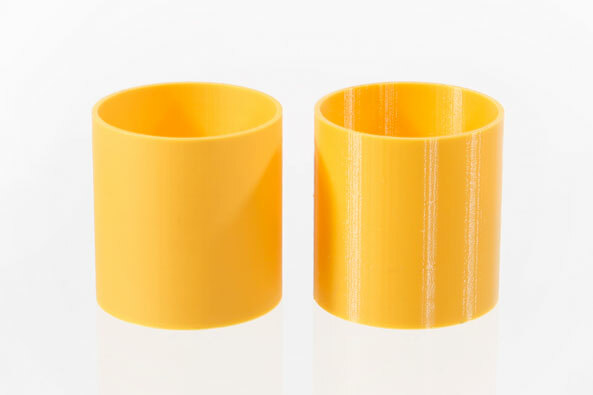 When printing our PLA at the lower end of the recommended temperature range it will produce more of a matte finish like the print on the left side of the photo (printed at 205°C). 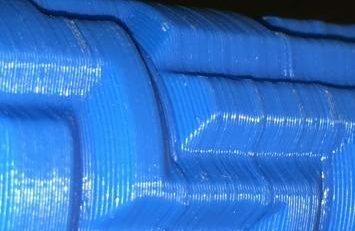 PLA printed at a high temperature at the top and above the recommended range will have a shiny glossy surface finish like the print on the right side of the photo (printed at 250°C). By varying the temperature of your printer you can obtain different finishes with the same material without post-processing.